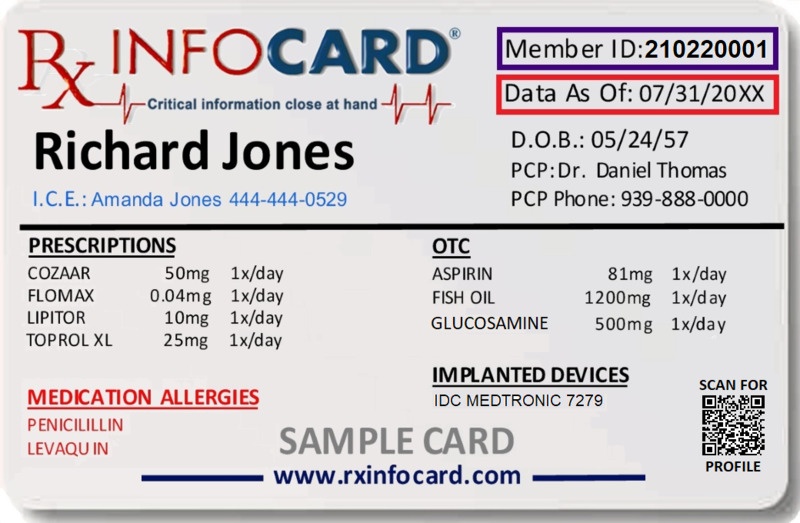 The Rx InfoCard is the most important piece of information you could carry. Always carry your vital prescription information. Communicate accurate prescription information to Healthcare providers. Having your prescription information is critical in any emergency situation. Are you unsure if family or Caregivers know your medications? Are you taking two or more prescriptions? Do you have multiple doctors or specialists?